Fun, exciting, interactive, and inclusive - these sets of content-based games help students master curriculum outlined in the current NCTM Standards for grades 1-8. Written by teachers using research-based principles, each game has been tested and proven effective in classrooms like yours. 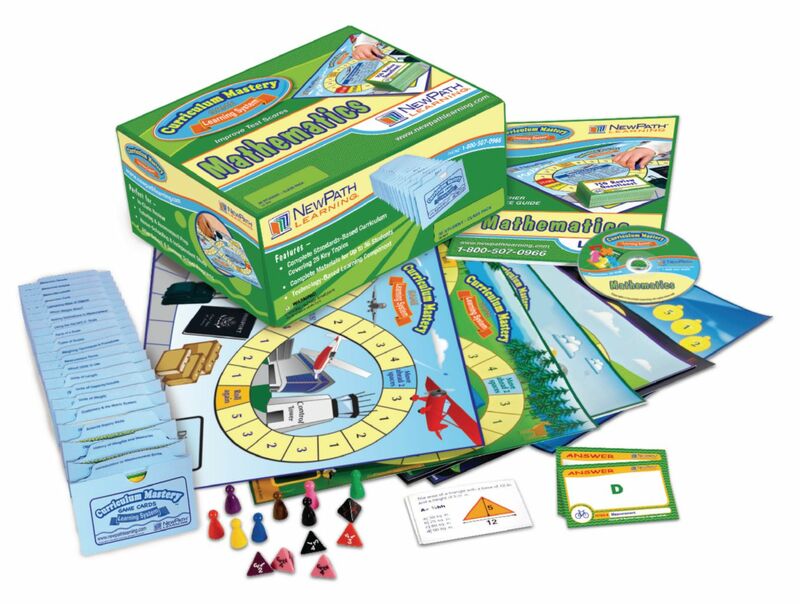 Each Class Pack set of games provides comprehensive coverage of topics required for math testing at that grade level. Engage students in learning with over 750 review cards, each set focused on a specific topic, and an additional 12 double-sided game boards for study and review. Games address content of 2nd grade math curriculum. Includes topics Counting to 999; Sequencing; Place Value; Skip Counting; Odd and Even; One More, One Less; Number Words; Fractions; Fractions Greater Than or Less Than ½; Money; Comparing Numbers; Ordinals; Addition Facts; Subtraction Facts; Story Problems; Double Digit Addition without Regrouping; Number Patterns; Subtraction is Not Commutative; Time; Comparing Objects; Measurement; Calendar; Graphs; Probability; and Solids.